Dark Horse and Blizzard Entertainment are thrilled to announce The Art of Overwatch, The Art of Overwatch Limited Edition, and Overwatch: Anthology, Volume 1. These are the latest additions to Dark Horse and Blizzard Entertainment’s line of critically acclaimed publications, preceded by World of Warcraft Chronicle (volumes I and II) and a series of Overwatch digital comics. Blizzard Entertainment’s Overwatch® is a team-based shooter for Windows PC, PlayStation®4, and Xbox One that features a cast of 24 different heroes—each with their own unique arsenal of extraordinary weapons and incredible abilities. The game first took the world by storm in May 2016, garnering praise from critics and gaming enthusiasts alike and reaching 30 million players since launch. The Art of Overwatch explores the creative process behind one of the most popular first-person-shooter games of all time! Filled with never-before-seen art as well as commentary provided by the game’s development team, this book is sure to please any Overwatch player. The 9” x 12” hardcover contains over 300 pages and retails for $49.99. The Art of Overwatch Limited Edition comes packaged in a beautiful clamshell box with magnetic clasps and includes an acetate slipcover featuring one of the game’s most iconic heroes, Tracer. The book also comes with two portfolios containing a total of three prints chosen by the Overwatch team. The 9” x 12” limited edition hardcover contains over 300 pages and retails for $100.00. Overwatch: Anthology, Volume 1 is a hardcover collection of the first twelve issues of Blizzard Entertainment’s Overwatch comics, written and illustrated by a creative team including Matt Burns, Michael Chu, Robert Brooks, Micky Neilson, Nesskain, Bengal, and more. Whether you’re an Overwatch novice or a Grandmaster, this glimpse into the backstories of many of the game’s heroes is an essential companion. 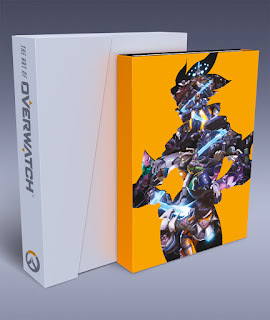 Containing over 140 pages, the Overwatch Anthology, Volume 1 hardcover retails for $19.99. The Art of Overwatch and The Art of Overwatch Limited Edition go on sale October 24, 2017, and Overwatch: Anthology, Volume 1 goes on sale October 10, 2017. These are the perfect companions to any Overwatch player’s collection! Preorder your copies on Amazon, Barnes & Noble, or TFAW.com. 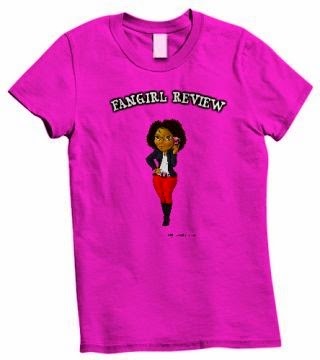 Visit DarkHorse.com for more information and preorder links.